Two months ago, I faced bankruptcy. Creative bankruptcy, that is. My creative juices became stagnant. My hands were resting on the keyboard, but my fingers could not move. I looked for inspiration everywhere. I binged on TV shows on Netflix, read books, devoured blogs about copywriting, asked my copywriter friends for advice. So, I stayed on my couch watching TV when I came across a home TV shopping program. Suddenly, my brain clicked and whirred. I felt the urge to write again. Somehow, my brain was communicating with my fingers again. I knew what I had to write! Success! But why? Why was a random woman hocking products on TV able to give me all the inspiration I needed? After all, she was just pitching a product. I watched more home TV shopping programs. In fact, I spent an entire day studying their moves, the words they used, and the way they asked viewers to buy. The language is simple, the grammar is easier than the one a first-grader uses, and the way the presenters talk about the products is not much different to the way you would talk about them to a friend of yours. Just take a look at the video below and notice how simple the language is. People describe what you see on the screen and they use words like “beautiful” or “great” to describe the product. Not all viewers have their brains focused on the television even when they have it on. How many times have you scrolled down in your Facebook feed while a show is playing on the TV screen right in front of you? Using simpler language helps the audience’s brains comprehend with limited attention. The human brain doesn’t have to process the language and the information is transmitted more easily. Another reason is that we live in the internet era. Home TV shopping is no longer limited to our television screens but to our computer monitors as well. And, since the internet has no borders, using simpler language can help a person from Asia or Italy understand what the product is about without obliging them to use Google Translate every second. This is something copywriters sometimes forget: English readers are not necessarily native English speakers. The main reason, though? Simple language is the human language. It’s how we communicate in our everyday lives. Which brings us to insight number 2…. Take a home TV shopping program about a frying pan. In all likelihood, the presenter is an everyday woman, who sometimes mentions that she has children and little to no time to cook. The person who markets the pan is the exact same person who would buy it. This way, the home TV shopping industry creates a link between the product and the everyday people they want to turn into customers. Just ask yourselves: Have you ever seen a really, disturbingly hot woman on any home TV shopping program apart from the ones that have to do with gym equipment or beauty products? Most likely, an everyday, relatable woman like the one below will appear and will be more than happy to promote the product. Don’t you already feel like this woman could be your friend? She laughs, she smiles, she teases both the audience and her co-host. She’s the woman many women want to be without trying too hard. This is a connection you want to create! That’s when a professional chef comes in to save the day. Oh, and (what a surprise) the professional chef has been using the product for quite some time and he or she has found out that there is nothing similar out there. This is the best frying pan in the world as “one of the best” chefs in the country (as the home TV shopping programs always say about their sources), suggests. So, here is another reason to buy it. Someone who’s knowledgeable already has. Take this video below, for example. At 1:50, Chef Alan, dressed in his chef uniform, arrives to persuade people that Chefdini is the ultimate food processor. He looks convincing, doesn’t he? If your company has been featured in The New York Times, then you should definitely mention it. In addition, if another, a well-known customer uses your product or service, then get a quote about how happy they are with it. This will give your sales copy more credibility. Notice how home TV shopping programs have showcased one happy customer after another? The stream of testimonials is relentless. That’s because home TV shopping producers know that testimonials are extremely effective at persuading. Reach out to your existing customers and ask them to speak about how your product has helped them. Feature customers that your audience can identify with it. One of the main reasons home TV shopping is so popular is because the presenters showcase the products and the viewers get the chance to see them in action. This is a wonderful lesson for copywriters: Learn how to exhibit the products using words and images. Visuals are powerful and copywriters have to keep up with the way content evolves. Make sure you learn how to create a step-by-step slideshow or even some basic video editing techniques. Watching the product at work is getting more and more powerful than just reading about it. However, make sure you explain to your readers exactly how the product works. So, if you can’t edit photos for your readers, paint a picture inside their minds, instead. It’s just one of the ways home TV shopping programs make you want to buy the product now. They say “strike when the iron is hot” and this is more than relevant in home TV shopping. You got your viewers’ attention and you have less than 10 minutes to make them want to buy the product. In an era when information keeps coming, TV marketing knows that “BUY NOW” is more important than “BUY” in general. Salespeople know that and that’s why they offer good deals when they see a hesitant customer. Listen to the irresistible “special offer” the infomercial below promotes. Pretty clever, huh? Copywriters can create this need as well but there is one tricky obstacle to overcome: how to convey urgency without being too pushy. Make sure you give your readers a call to action without pushing them. Because if you do, they will definitely close the tab and they’re never coming back. We know that home TV shopping might sound outdated but its popularity is proof that it still sells like crazy. One of the leading retail channels in the United States, QVC, reached 8 million households when it launched, and its first-year sales reached more than $110 million. In 2015, home TV shopping channels pulled in over $6 billion in revenue. However, since television is getting less and less popular (thanks to web streaming), QVC promotes their products online as well. As a matter of fact, in January 2016, the network started streaming live video on Facebook. The overall reach and engagement rate? 15 million people. As you can see, although the medium may change, the elements that make people buy remain the same. Whether you prefer online videos, web pages, or some other platform, keep the above tips in mind. They will help you become more persuasive. 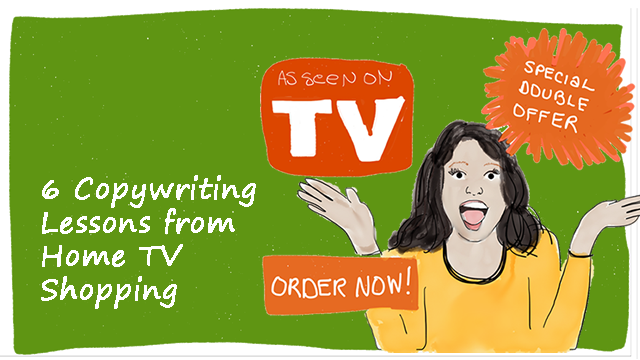 What have you learned from home TV shopping programs that will make you a more persuasive copywriter? Have you noticed anything else they do that we can all learn from? 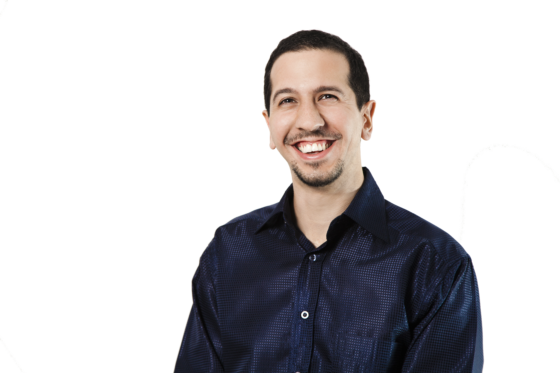 Aris Apostolopoulos is a full time freelance writer and copywriter. Great article. I admit that watching QVC can be addictive & I have bought quite a few things I didn’t need from them. Their sales pitch isn’t pushy, it’s not always polished yet it is super effective. I always wondered how they did it. Now I know. Mirasee this is excellent blog I open for the first time. Please keep it coming to my inbox. Today, you have arise amazing topic and really we can learn many things from home TV shopping. People who host TV shopping always use simple and effective English so that people can easily grab everything which they want to deliver. You have shared amazing tips here and they really need to implement in copywriting for better impact on audience. Thanks for sharing. Thank you for your comment! I hope you found some inspiration in the article. I always fall for infomercials–even though I’m a marketer by profession. They have totally cracked the code, but I have to confess, I never thought of copying their methods. Great read, Aris. Thank you and glad that your fingers got moving again! Look forward to more.